Schemata Workshop was engaged by a national developer after their initial proposal for a single-use, prototypical retail pharmacy met fierce opposition from the community and the city. Schemata quickly forged a strong relationship with the community, associate/corporate architect and developer. 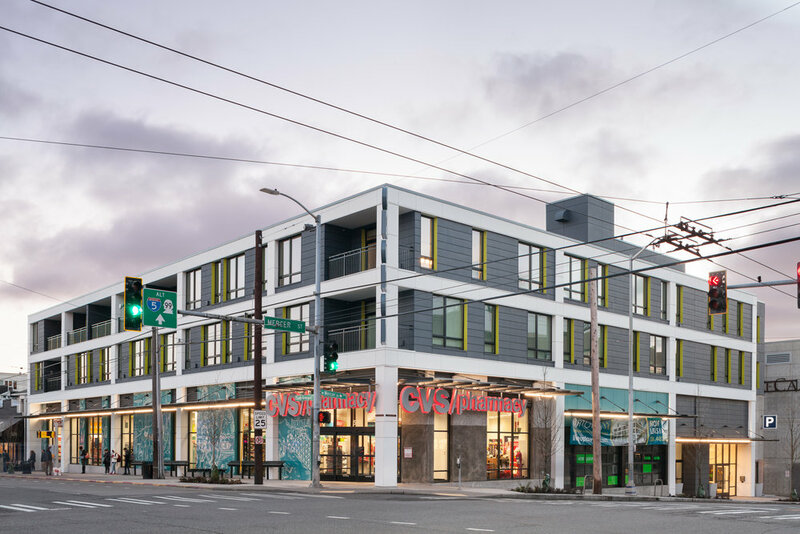 Through extensive collaboration with the developer and neighborhood groups, CVS Queen Anne eventually became a 3 story mixed-use building lauded by the community and the local design review board. 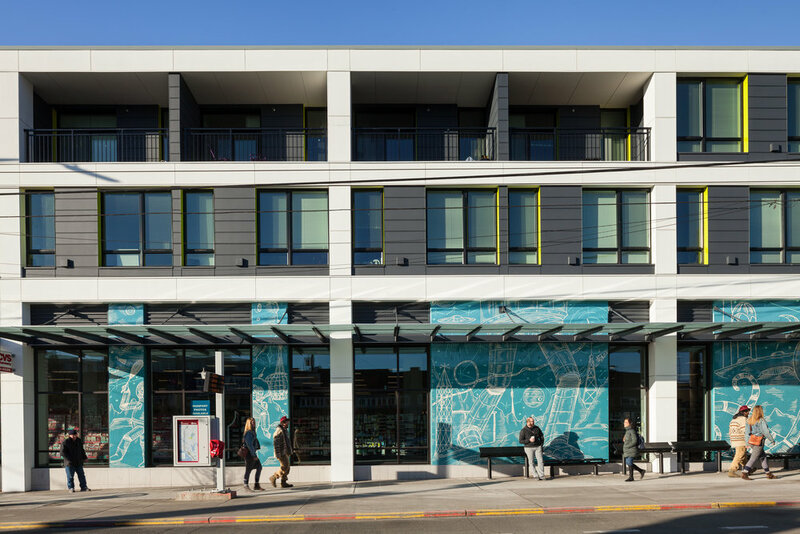 The design is inspired by the adjacent Seattle Center, Seattle’s finest assemblage of modernist design, and much beloved by the Queen Anne community. The building volume is a frame-and-infill concept, allowing the design to have a strong presence that reflects its prominent location. Floor to ceiling windows will allow for ample daylight and ventilation, and strategically located balconies reveal the frame and provide an extra amenity at premium locations.